Last week, we released a new version of Chrome that includes new payment features and performance improvements. 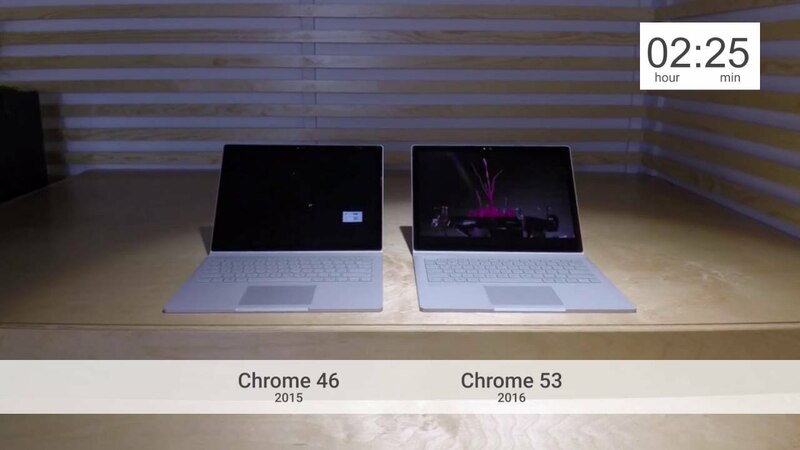 In fact, over the last year Chrome has seen double-digit improvements in speed and battery life. These improvements help you get more done, faster, and we thought you’d like an update. Speed has always been a priority for Chrome. People spend so much time in the browser that even tiny page delays can add up to minutes of lost time every day. When measured with tools like Speedometer, improvements over the last year have made Chrome more than 15 percent faster on both desktop and Android. That’s good news if you’re working against a deadline or trying to place a last-minute order. We also know that you want to get as much browsing time out of your laptop’s battery as possible. So Chrome now uses less battery for sites that people visit the most. For example, Chrome for Windows lets you watch more video on sites like Vimeo, Facebook and YouTube than it did a year ago. Of course, people use their browsers for more than just video. That’s why we’ve been improving battery life across the board, tracking progress using power measurement tools. As one example, Chrome for Mac now uses 33 percent less power for everything from videos and images to simple page scrolling. Whether you’re planning a vacation or getting work done, you now get more browsing time from a single battery charge. We don’t just want Chrome to run faster, we want to help you get things done faster. That’s why we’ve also brought fast, seamless payments to Chrome on Android, including support for Android Pay, by adding support for the PaymentRequest web standard. So now when shopping online, you can check out with as little as a single tap. Faster browsing, faster checkouts, and longer battery life — we think you’ll enjoy the latest release of Chrome.